Dementia means so much more than just lapses in memory—it also entails a progressive decline in a patient’s mental abilities, which ultimately impacts their capacity to care for themselves and their basic needs. If you have a parent who is showing early signs of dementia or related conditions like Alzheimer’s disease, getting additional care and assistance in daily chores and activities is something you should seriously think about. 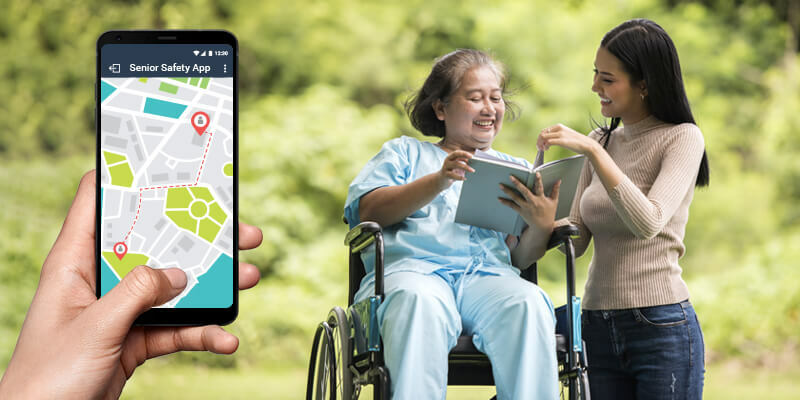 While your forgetful parent may not yet require home care, providing them with smart tools and aids like a free phone tracker app that can help you monitor their condition and ensure their safety will give you peace of mind that they are out of harm’s way. Have them properly diagnosed. When suspecting cognitive impairment, having your parent checked by a doctor is important to get a proper diagnosis of their condition. While Alzheimer’s disease and dementia are incurable, a doctor can prescribe treatment plans and even therapies to improve their symptoms and perhaps even stave off the progression of the disease. Invest in a medical alert and fall detection system. Senior fall alert and similar types of medical alert systems can save your loved one from fatal injuries. These devices can recognize injurious falls and alert you in case of a potential emergency. Ailing parents can likewise press an SOS button to access help and alert you in case of a sudden need. Dementia and Alzheimer’s mostly affect the mind and the person’s cognitive abilities. However, this decline in mental capacity also results in a decline in their ability to perform even the simplest tasks, let alone complex activities like driving. Although a free phone tracker app might be helpful in monitoring where your loved one drives off to or wanders around, there are simply so many things that could possibly go wrong when they are left in the driver’s seat. Discouraging them from driving might be difficult at first but it is often necessary to prevent more serious consequences. A GPS tracker is an incredibly useful tool for monitoring the whereabouts of a dementia patient. Confusion and difficulty even when finding their way around very familiar places are very common in dementia sufferers. With a free phone tracker app or a GPS device that your senior parent can carry with them at all times, it will be easier to locate them in case they wander. Consider memory care. As dementia progresses, your senior parent may need 24/7 supervision, which is why it pays considering the possibility of long-term care in a facility or perhaps home-based memory care to ensure their safety and well-being as they face the effects of their declining condition.